Plywood flooring is an all-purpose bonded structural plywood panel designed for use in domestic, commercial and industrial applications. Its strength and resilience has led to its application in truck floors, storage decks and flooring in sporting complexes. Providing a complete flooring system for both wet (panels must be sealed) and dry areas. Floorwood is manufactured to Australian Standard AS/NZS2269 Structural in accordance with the independent quality control program of the Engineered Wood Products Association of Australia (EWPAA). Plywood is the only wood based panel with predictable design properties. This is why it is the only wood based panel to be included in the SAA Timber Structures Code(AS1720) as an engineered panel. 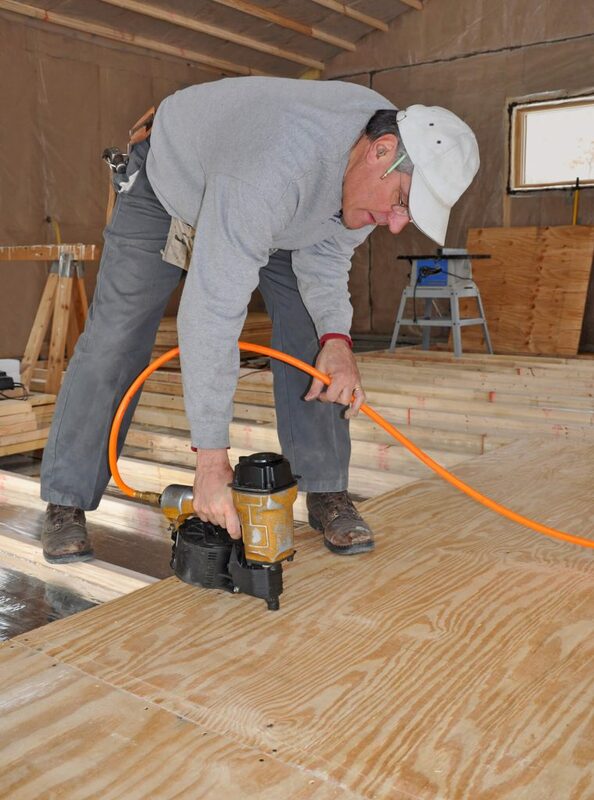 Available options for flooring plywood include both structural hardwood and structural pine. Superior strength and stiffness relative to weight, translates to a thinner panel when compared to particleboard for the same application, making it easy to saw, drill or nail and has full length tongue and grooving to enable easy keying of panels.